Are you tired of the Mac default music player? Or, do you simply want to change your music player to experience something different? Here is a list of the top 5 music players for Mac that can be used as iTunes alternatives to listen to music and radio on your Mac. Some of them even have more functionality than the iTunes. Like almost everything out there, some of them are free software and the others are paid ones. You can even connect your Last.fm and Spotify accounts etc to get the latest music from some of them. Discover and download the hottest music on Mac. 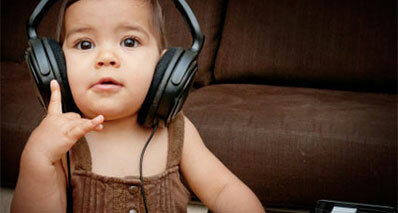 Download music from over 3000 music sharing sites. 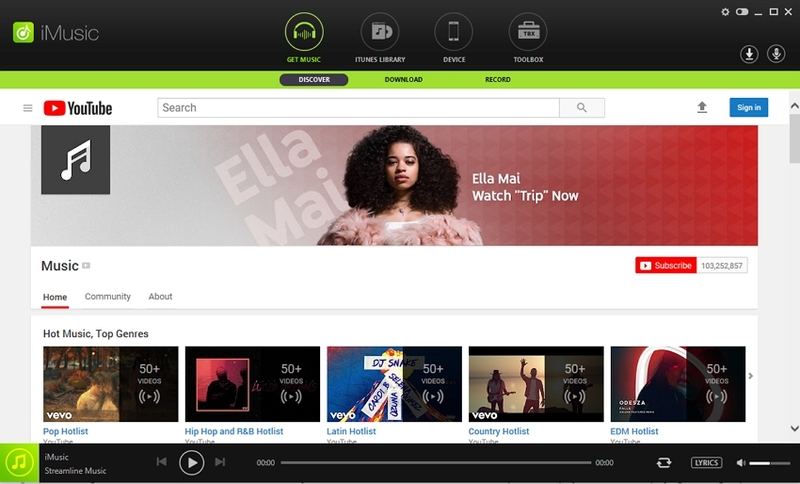 Record music from thousands of music sites and radio stations. 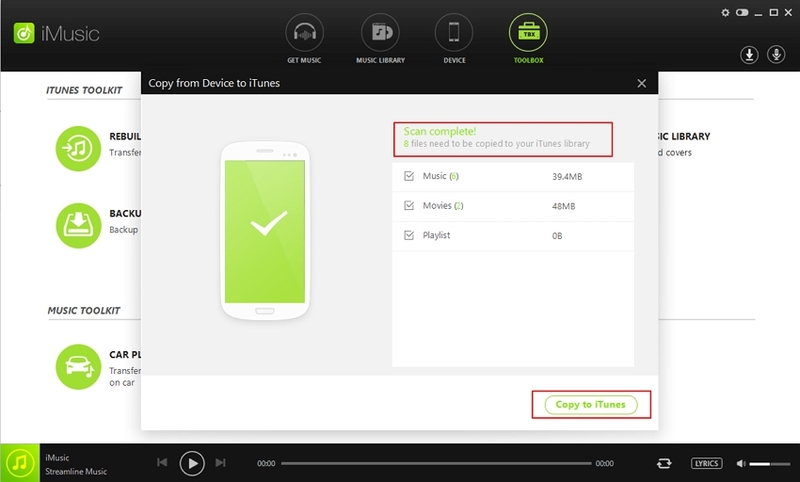 Transfer music between iPhone, iPad, iPod, Android phone, computer and iTunes. Manage music library on computer, iOS and Android devices. Swinsian is an OS X program that has an identical layout to iTunes. 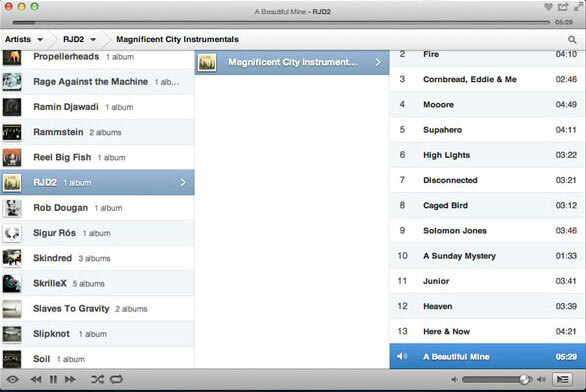 After it syncs with your iTunes library, the layout of Swinsian comprises left and right sidebars. Just like in iTunes, playlists are shown on the left, as well as on the right, it is possible to edit the meta data and tags of a song. Swinsian has the feature of notifications when a brand new music is played and supports an extensive array of music formats. You can even link your Last.fm account and Swinsian auto-discovers other AirPlay interfaces. 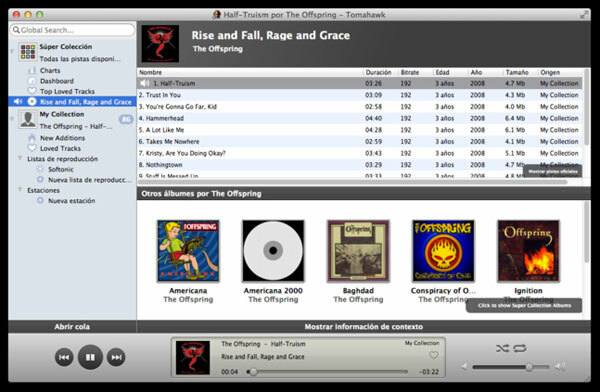 Ecoute for Mac is a simple and free replacement for iTunes. 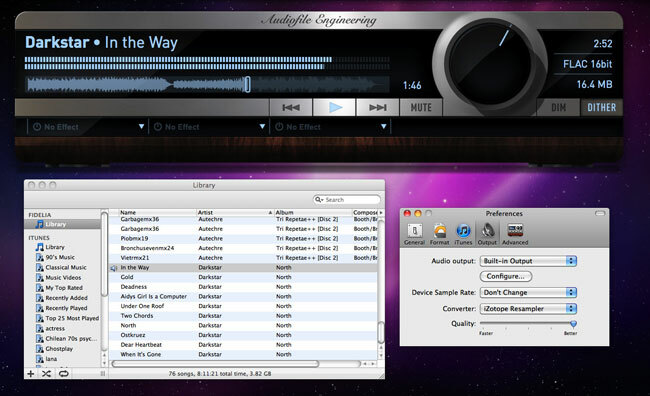 Upon installation, Ecoute automatically detects and syncs with your iTunes library. In Ecoute, you are able to sort by artist, album, composer, genre, playlist and tune. Ecoute also offers a little widget that stays in your desktop when you're playing a music track, which you can use to readily access the play controls. Moreover, notifications appear in a corner of your screen when a new tune is being played. Ecoute also offers a resizable interface; you could pick from a display that is big or a minimized variation with numerous columns. You can also link for your Last.fm, Twitter and Facebook accounts from Ecoute, which also has a mobile version for iOS. 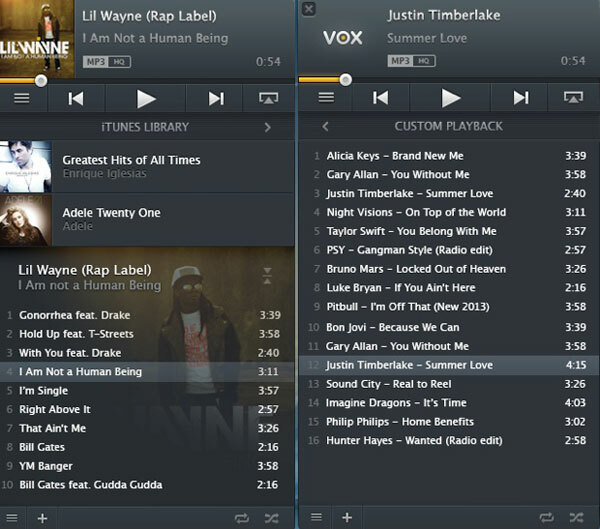 Vox is another OS X music player which is not bad in case you would like something that will not get in your way. With a user interface that is streamlined, Vox has a clean layout that's simple-to-use. The player is no larger than the usual sidebar, and this may be minimized into a smaller, more streamlined player. You can play the radio as well as play music from your own iTunes library; you can also drag music to the different Vox playlists. Vox supports many formats, including OGG and FLAC, each of which iTunes will not support. The icon on the document reveals the album art of the tune playing and there are desktop notifications for every new tune played. Available for Windows, Mac as well as plenty of other operating systems, the complimentary program incorporates music from many different online sources including Sound Cloud, Spotify (premium account desired), Last.fm and Groove Shark at the same time on your local machine using an authorized connection. Tomahawk will pull the best version of your music to playback from all your sources after your sources are synced. You can even connect to Twitter, Google and Jabber in order to view your friends' groups. Also, Tomahawk syncs artist information via Last.fm along with added information about connected artists, graphs and new releases. Tomahawk may also save your searches and offer information in your listening history, as well as an alternative for private listening. 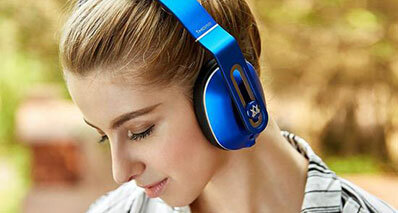 For music lovers, Fidelia, as the particular name implies and prioritizes high fidelity sound. The player has a cool user interface that mimics that of a high end radio, and has dim and mute buttons that are useful together with meta data displays. The player has three different special effects channels and also reveals the waveform of the existing track. While some are far more severe, some effect functions such as the iTunes equalizer. Fidelia offers a free 15-days trial and it is $19.99 afterwards. The table below shows the comparison between the 5 top music players as discussed above. We hope that it will help you pick the right one for yourself.